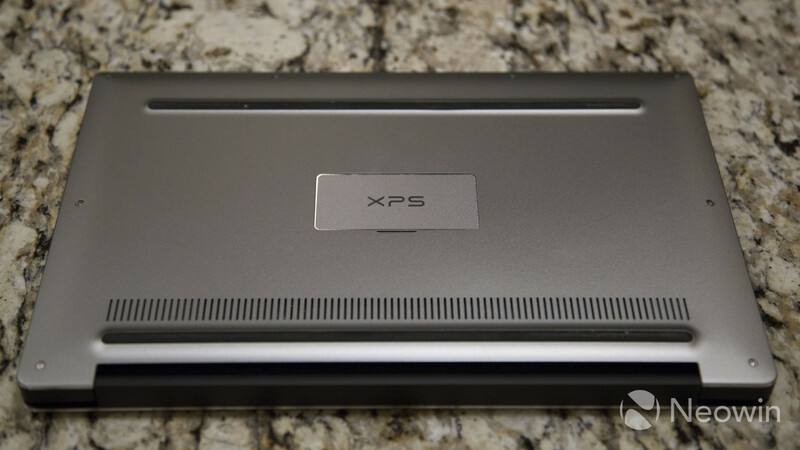 When the Dell XPS 13 was announced at CES, people were instantly drawn to it. It's hard not to be: When you first see the tiny bezel around the screen, called Infinity Display, it looks almost magical. Add in the carbon fiber around the touchpad, the estimated 15 hour battery life, and the pretty backlighting of the chiclet keys and the XPS 13 looks and feels like a premium machine that you'd want to carry with you on a daily basis. While a laptop's looks are important to many, the number one criteria for a successful product should be how well it solves real world problems. To that end, I used the XPS 13 as my daily driver for a month, including using it as my only computer at SXSW, to see how well it performs. In short, the Ultrabook delivered. 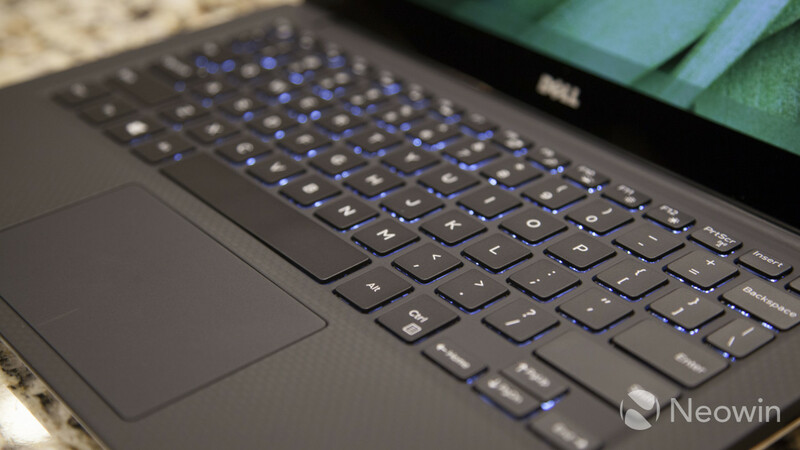 The XPS 13 comes in a few different configurations, ranging in price from $800 to $1400. All of the configurations provide the same form factor, but the lower end model has only a 1080p display and four gigabytes of RAM, whereas the top of the line model has a QHD+ display, giving you 3200x1800 resolution along with a touchscreen, and eight gigabytes of RAM. By default, Dell provides users with a small 128GB SSD drive. Upgrading to a 256GB Samsung drive costs only $100 and should be a no-brainer for most people. In my opinion, there's only two choices that one should consider: The 1080p display or the QHD+ display with touchscreen, both with 8G of RAM and a 256GB SSD. The former will set you back $1,099, while the latter will cost $300 more. Dell promises that 512GB and 1TB SSDs will be available as options in the near future. All but the entry level model include the new Intel i5-5200 Broadwell processor, capable of speeds up to 2.7GHz. 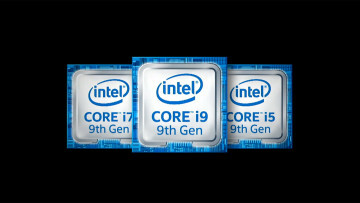 The new Broadwell chip doesn't provide much more performance than its predecessor, but it does achieve similar performance with much lower power consumption. Wireless connectivity is handled with Dell's Wireless 1560 chip, which includes Wi-Fi 802.11a/b/g/n/ac support on both the 2.4 GHz and 5.0 GHz bands. There's also Bluetooth 4.0 LE support. The model used in this review included the 256GB Samsung SSD drive, 8GB of RAM, and the QHD+ display. The design of the XPS 13 is, in a word, beautiful. Dell somehow managed to fit a 13" laptop into the form factor of an 11" machine. The first thing everyone will notice is what the Dell marketing team calls an Infinity Display screen. With roughly a 5mm bezel around the LCD screen, it makes the MacBook Air (and most other laptops) look extremely dated. Indeed, this is the type of form factor we expect to see all laptop manufacturers begin to use in the near future because it allows you to carry a laptop with a much bigger screen than the size of the machine would dictate. Indeed, the XPS 13 is 12 percent thinner, 12% lighter, and 23 percent smaller (in footprint) compared to the MacBook Air 13. 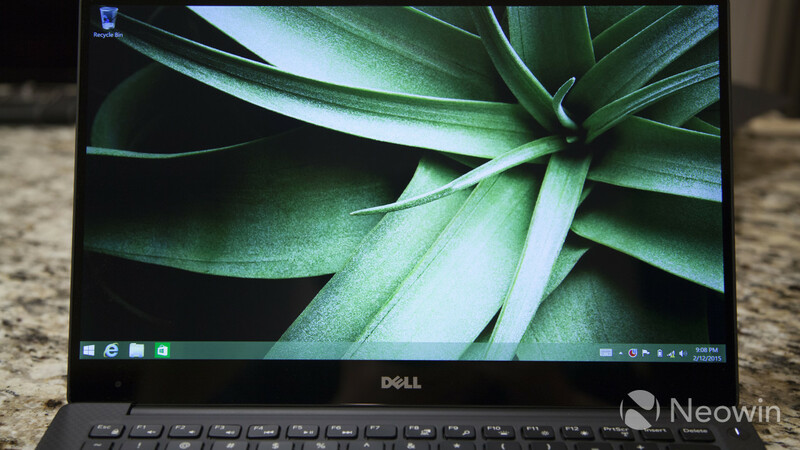 Although the display is what everyone will be in awe about, Dell has an elegant design all around. The top cover and base of the XPS 13 are cut from a single block of aluminum, providing a great looking machine and offering a lot of strength in the design. Trying to flex the display is met with a natural rigidity and there's no hint of creaking or bending. The palm rest is made of carbon fiber, a premium feeling material that also provides better thermal properties to the user. There are other nice little touches as well, such as hiding the FCC labels underneath an aluminum plate with the XPS logo on it, held in place with a tensioned spring. 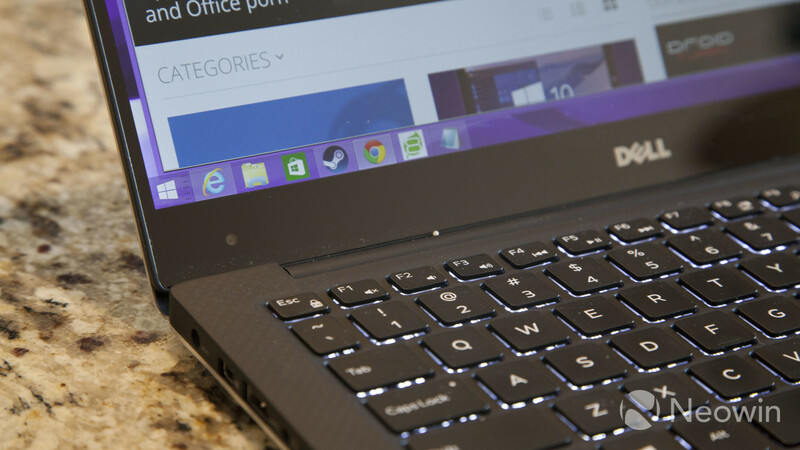 The Dell XPS 13 comes pre-installed with Windows 8.1. This is to be expected, since the touchscreen model would be relatively worthless without it. 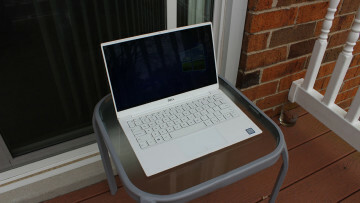 The Ultrabook comes standard with Microsoft's precision touchpad and, unsurprisingly, worked well within Windows. Aside from the standard scrolling by swiping two fingers up/down or left/right and the pinch to zoom, it also includes two nice shortcuts: Swipe in from the right for the Charms menu, and swipe in from the left for the apps menu. If you want to install Linux on this machine, you might run into some problems. Although it works, there are reports that some features don't work as well as they should. In addition, audio might not work at all. 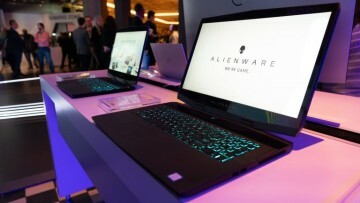 I'm told by Dell that the new Developer's Edition will be available in Europe later this week and in the United States next week, but there's no mention of what hardware that will include. At this point, if you want Linux, be prepared to tinker and hope that Dell continues their support. I should start off by saying I've never been a big fan of touchpads. 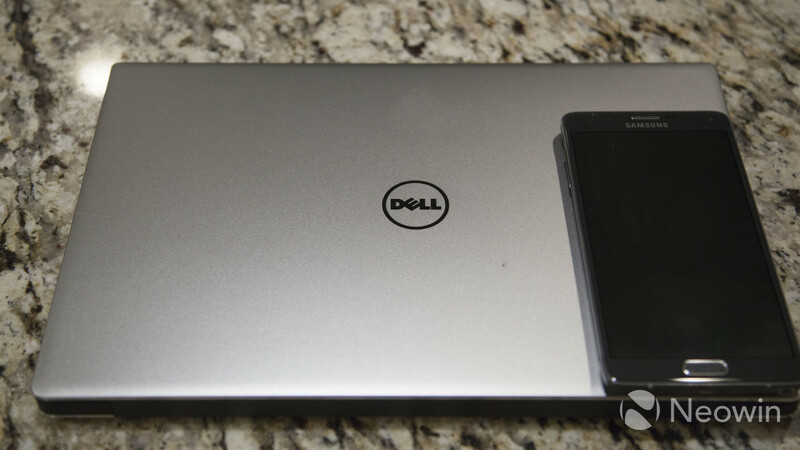 That said, Dell put the Microsoft precision touchpad in the XPS 13 and I have to say that it was a good experience. Overall it's very responsive, the gestures worked well in Windows 8, and clicking around was easy and to the point. The keyboard also works great: You're provided with a full size keyboard with very few compromises. While some keys, like the tilde and backslash, are made slightly smaller, the rest is pretty much on par with what you'd expect. The only thing that slightly annoyed me about the keyboard is that there are no dedicated page up and page down keys: Instead, you're forced to press the Fn key combined with either the up or down arrow key. That said, it's a minor inconvenience. The star of the show is the touch screen. While many people may claim that a laptop doesn't need a touch screen, it's obvious that those people have never tried a computer with one before. Ever since using the original Surface Pro, I've been sold on the need and the Dell XPS 13 delivers. Response to touch is always immediate without any noticeable lag. Scrolling through web pages by swiping on the screen is effortless and feels like a natural extension from our constant use of phones and tablets. Typing up an email and then tapping the "send" button feels more natural than using a touch pad or mouse to move the cursor to the send button. Even without using Modern apps within Windows, the use of touch is a natural fit and one that should soon become standard. Typical battery benchmarks are hard to run because, like EPA tests that predict your car's fuel efficiency, the results will depend entirely on how each individual uses their computer. Dell has run their own benchmarks and has seen nearly 15.5 hours with the 1080p display model, and over 11 hours on the QHD+ display with touch. While some immediately assume that means the touch screen uses more power, the reality is that the QHD+ model has many more pixels to drive, and that's where the reduction in battery life comes from. My experience at SXSW indicates that Dell's benchmarks aren't far off. My normal use was a combination of web use (browsing with Chrome), writing articles for Neowin, and some light Photoshop editing of photos for the articles. With days starting at 9am and ending at 9pm, I was easily able to get through everyday without having to hunt for an outlet. While I wasn't using the computer for 12 hours straight, there was heavy usage, so Dell's claims seem on-par with real-world uses. Obviously a more demanding workload will use more battery power, but 10 hours for the QHD+ model is a reasonable expectation under normal situations. 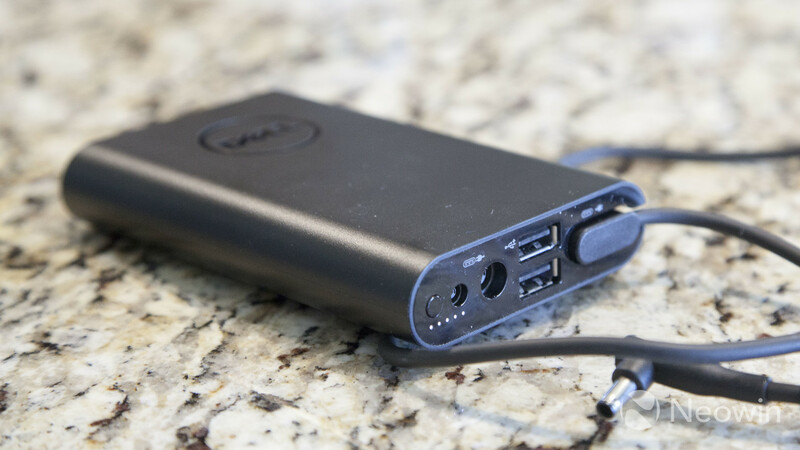 For those on the go, Dell also offers a portable charging pack, called the Dell Power Companion, for only $99. While not designed exclusively for the XPS 13, it's a 12,000 mAh battery that can be used to charge your laptop while you're using it or while it's powered off. In a test, I drained the battery down to 5%, plugged in the Power Companion, and continued working off of the external battery. I was able to use the XPS 13 for an hour or so before the Power Companion finally drained, but in that time the laptop itself was back up to 44% power, meaning I'd easily get a few more hours of use out of it. The Power Companion also includes a couple of USB ports if you need to charge a mobile device at the same time. If portability is important, the Power Companion seems like a good buy. ?We keep coming back to the screen, and for good reason: It's the best looking display I've seen on a laptop. I haven't had an opportunity to look at the 1080p version of the XPS 13, but the QHD+ version sports a stunning resolution of 3200x1800 pixels, and they combine to make a fantastic looking screen. Looking at pictures from my dSLR was a real treat, and watching some sample 4k videos online was simply stunning. At first I thought that there was no reason why anybody should avoid this display. I soon found I was mistaken. While most things look absolutely amazing, Windows 8.1 seems to have some scaling issues at this high of a resolution. It only popped up every once and a while, but when it did, it was a jarring experience. 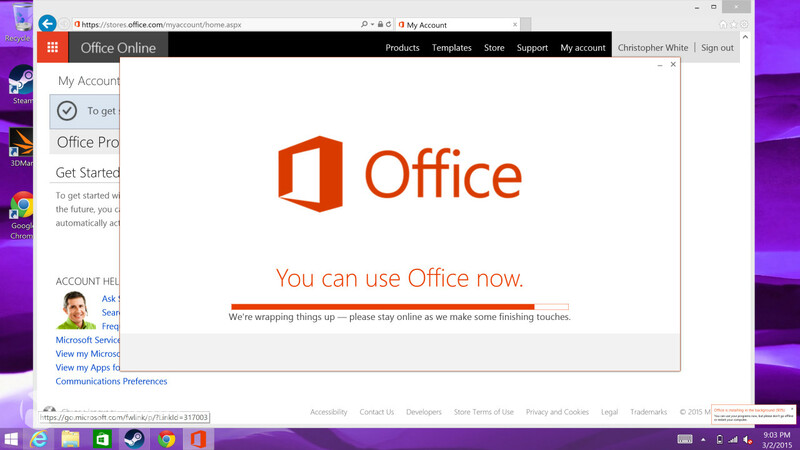 For example, when installing Microsoft Office 2013, a message indicating the installation was happening in the background appeared in the lower right hand corner. Unfortunately, the scaling issues made the font nearly unreadable which was surprising since this was a Microsoft product I was installing. There were a couple of occasions where the scaling issue was more than just an annoyance and actually impacted my use. 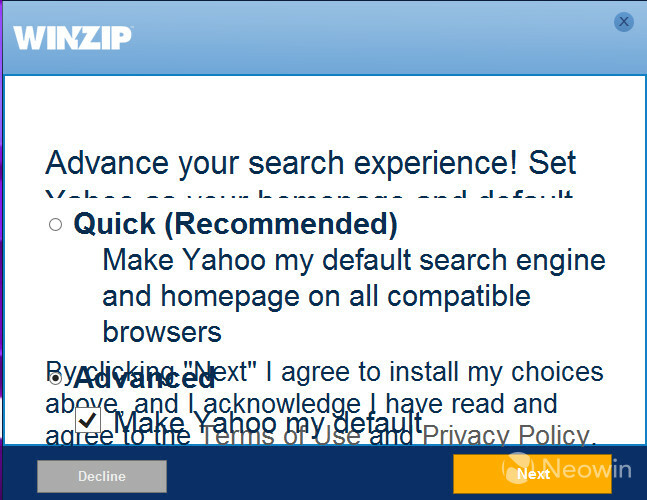 Installing WinZip, for example, was an adventure because I couldn't see what was on the screen. It's hard to blame Dell for this though, as it's clearly a combination of operating system and application issue. If you think it'll be a problem, you can always stick with the standard 1080p display, but I never found it to be much of an issue and is hopefully something that Windows 10 will help address; Neowin will look into testing this in the future. The display is made of Corning's Gorilla Glass NBT, and is extremely smooth and responsive. In addition, the material is also extremely scratch resistant. Dell made a claim that you could run your key along the display without any damage, so, despite much trepidation, I accepted the challenge by grabbing my house key and pressing it across the corner of the display. To my relief, it simply glided over it without any resistance. I then extended a paperclip, and ran the metal tip across the display with the same result; Dell's claim seems to be true. The XPS 13 gives you a lot of configuration over the brightness of the display. I was told that most laptops max out at 200 nits, but the XPS 13 goes all the way up to 400 nits. While I have no way to independently verify these numbers, I can confirm that the machine is the brightest display I've seen. I found that in most situations, I would run no higher than 50%, and would frequently be down to 20-30% in well-lit rooms. The exception is outdoors. Several times under the bright sun in Austin, TX, I had to raise the brightness to max in order to work outside, but once I did, the screen was bright and crisp and easy to use. Obviously the higher you set the brightness, the lower your battery life will be. The sound quality of the Dell XPS 13 isn't going to win any awards for audio fidelity, but that's not what it's designed for. A speaker is placed on either side of the machine which in most cases is nicer than being put on the front of the laptop, but can muffle the sound if you put your hands on the sides. So far we've established that the Dell XPS 13 seems to be a great Ultrabook, but how is the actual raw performance? The machine utilizes the Intel HD 5500 graphics chip, so don't expect to play any detailed FPS games at max settings, but it holds its own. Performance is generally better than last year's chip. 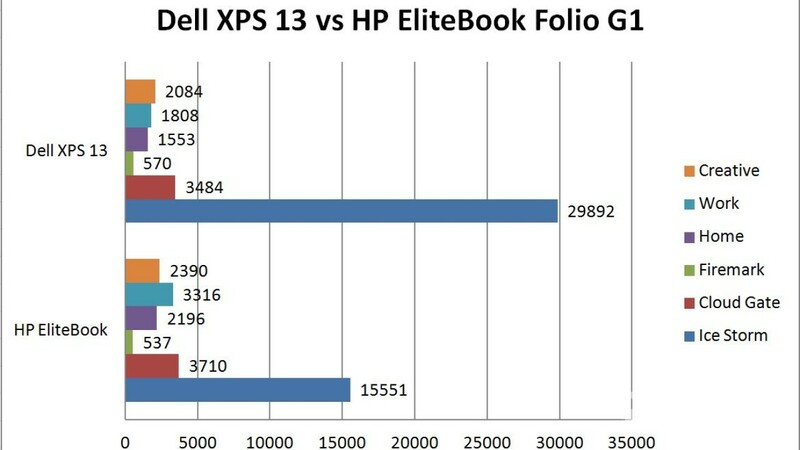 The XPS 13 was generally comparable or better in the benchmarks compared to last year's HP EliteBook Folio 1040 G1 running an HD 4400. Running through the 3DMark benchmarks, the XPS 13 dominated the Ice Storm test with a score of 29,892, nearly doubling the HP EliteBook. It also did slightly better in the Firemark test with a score of 570 versus 537 from the EliteBook. Curiously, the XPS 13 fell slightly behind on the Cloud Gate test with a score of 3484 compared to 3710 from HP. On the PCMark side, scores were actually lower than those of last year's EliteBook. At first I thought it might because there were more pixels on the screen, but changing the resolution of the XPS 13 had no noticeable impact on the benchmarks. It's possible that the benchmarks have changed since last year, considering there's more tests involved, so use these numbers only as a rough estimate. Regardless of the numbers obtained through benchmarks, I had no problems running several tabs in Chrome while having a movie streaming through Netflix and doing some light Photoshop work at the same time. There was no lag and the system didn't seem to even break a sweat. 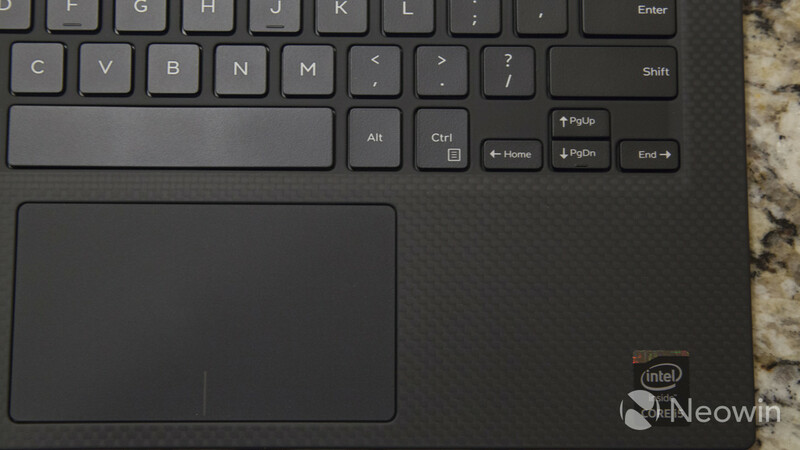 In order to accommodate the thin bezel, Dell was forced to move the location of the webcam to the lower left hand corner. While the location isn't a terrible decision, it can make calls with Skype look a little odd. The camera itself can be used to take pictures with 720p resolution. While it won't replace your regular camera, the quality seems fine for general use. If you want a higher quality camera, or don't like the placement of the camera, you can always opt for a higher quality webcam that you clip to the top of the monitor. Due to the small size of the XPS 13, its output consists of a single mini DisplayPort. The reasoning behind this decision is that mDP offers both analog and digital outputs, giving users the flexibility of using a converter to either HDMI or VGA if they don't have a native DisplayPort display. 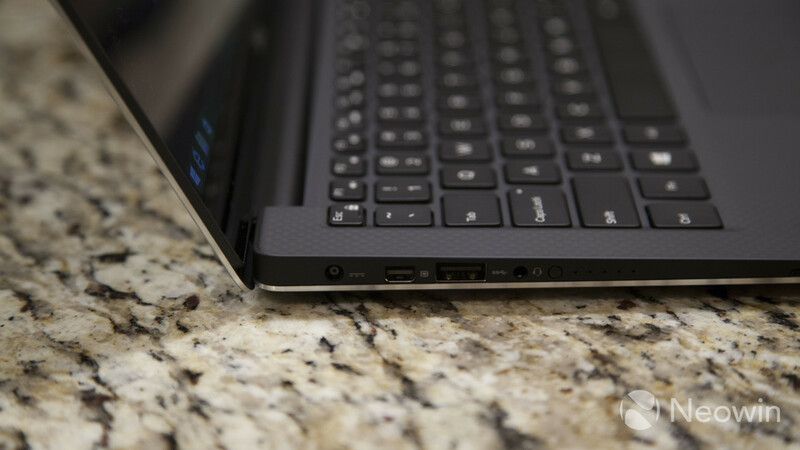 The Dell XPS 13 also has a few different ports, including two USB 3.0 SuperSpeed ports, a headphone jack, and an SD card slot. It also has a Kensington lock slot. 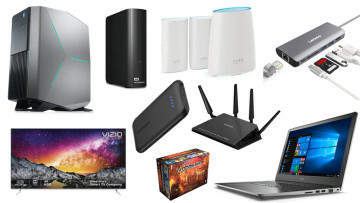 An adapter is also available, that connects to a USB 3.0 port and provides you with wired Ethernet, VGA, and HDMI, although it's not included standard with the XPS 13. After using the XPS 13 as my only computer for the week in Austin for SXSW, not once did I feel the case get warm to the touch. In addition, and more importantly, the carbon fiber palm rest kept the heat from the inside from escaping to my hands. As for noise, the XPS 13 is whisper quiet. There is a small fan inside the Ultrabook that you can hear whirring if you put your ear right up against the vent, but if you brought the XPS 13 to the library, nobody around you would be able to hear it. 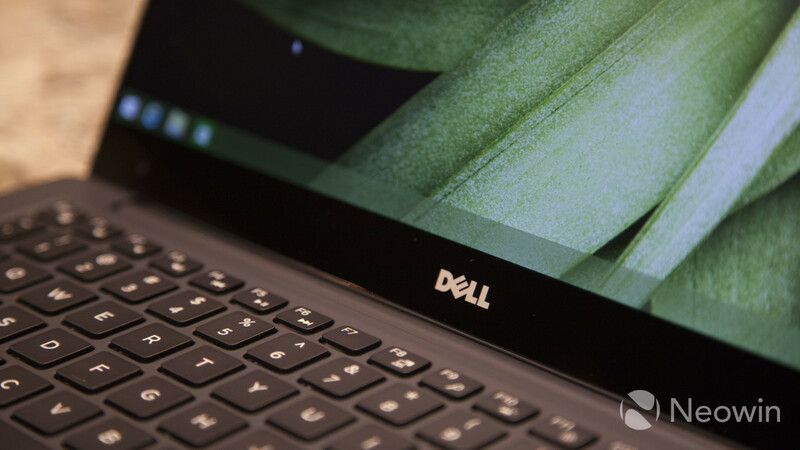 If you're in the market for an Ultrabook, then look no further than the Dell XPS 13. It's light-weight, packs a larger screen into a smaller form factor than any other machine on the market, has an amazing display, a great touchpad, and looks elegant. Aside from the minor inconvenience of where the webcam is located, the only other negative that the XPS 13 has isn't about hardware, but rather the scaling issues within Windows 8. It's jarring to have a beautiful display, only to be greeted with a message that looks like it's in a 1 pt font. I rarely found it to be much of an issue though, and the beauty of the screen more than made up for the occasional scaling issues. If Microsoft and developers fix the text scaling issues in Windows 10, I can't think of a single other negative for the XPS 13.